Submitted by lynn on Friday, October 6, 2017 - 1:13pm. 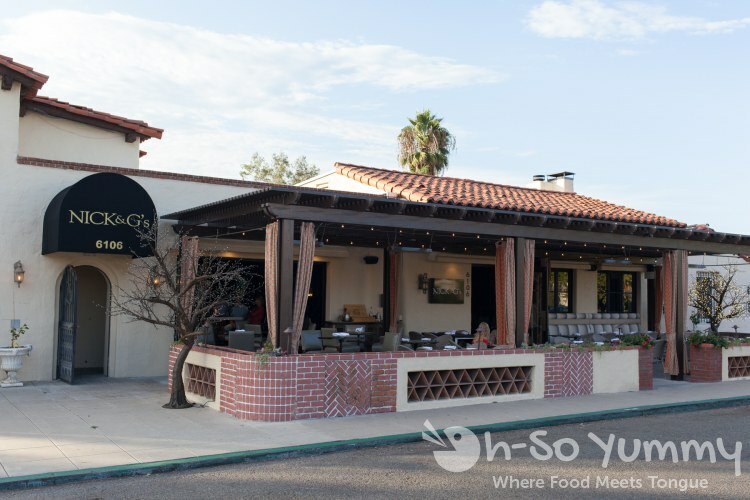 It's a long and winding road to Nick and G's but this new spot in Rancho Santa Fe is a destination to add to your foodie list. The restaurant serves Mediterranean and Italian food and is located on the quiet street of Paseo Delicias. Dennis mentioned that he and his friends have biked through this area but had never eaten in this mellow neighborhood. Time to change that! 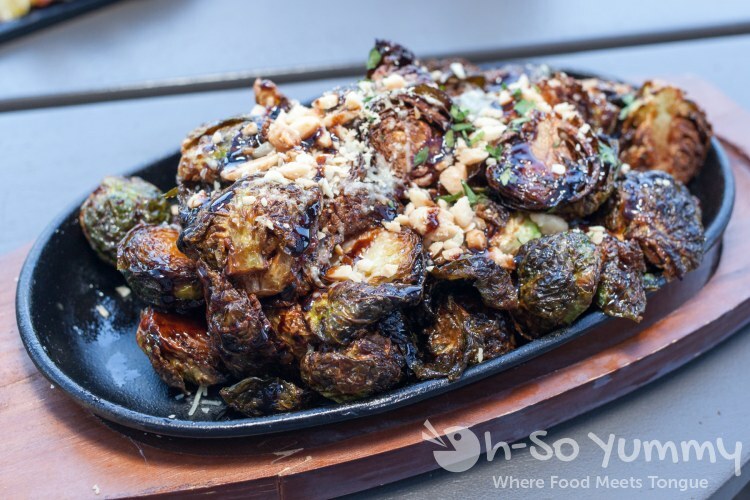 Several of the staff, including our main waiter Johnny, recommended the Crispy Parmesan Brussels Sprouts. These were seated on a searing hot iron plate, bubbling with the sticky sweet balsamic glaze caramelization. The char on these veggies gave it that desired paper thin crispy edge! These were some of the best brussels we've had in a while! We also had bread and butter passed along as we waited for the rest of our order. 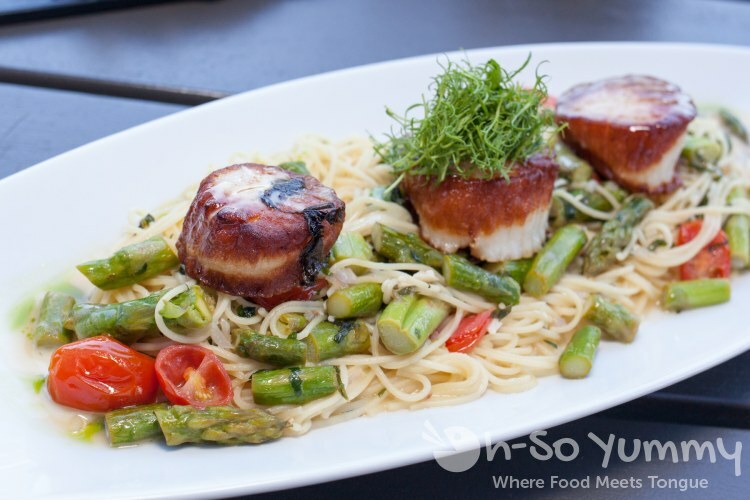 This pasta dish featured gorgeously crusted scallops bedded on whirling noodles and a healthy portion of asparagus. The large scallops were perfectly cooked in the center and sliced easily with our knife. The pasta flavor was simple and buttery and let the scallops shine as the main star, especially with an extra touch of sea salt. We had also ordered the garlic broccolini, plentiful for a side but the garlic flavor was almost non-existant. Next was the meaty salmon with a nice pan sear, flesh still succulent but not fatty. We dug in immediately, and it flaked beautifully for each bite. 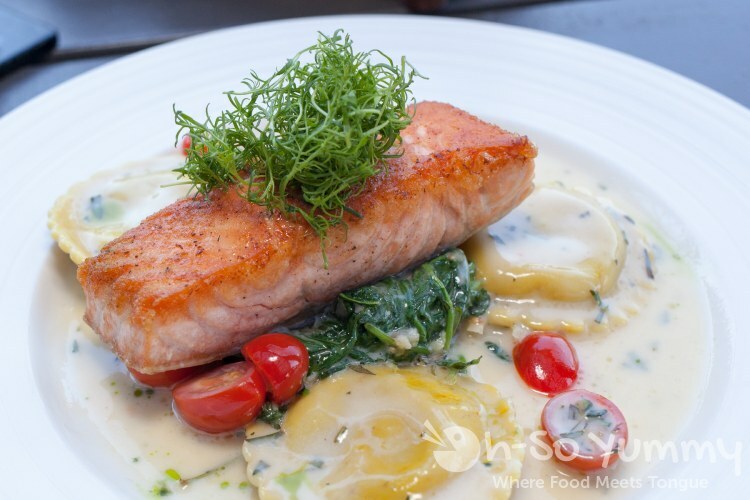 The surrounding sauce was light, a subtle complement to the fish and a necessity for the blanched spinach underneath. The filling of the ravioli was quite tasty with the ricotta blend but the pasta shell was a bit more al dente than I like. 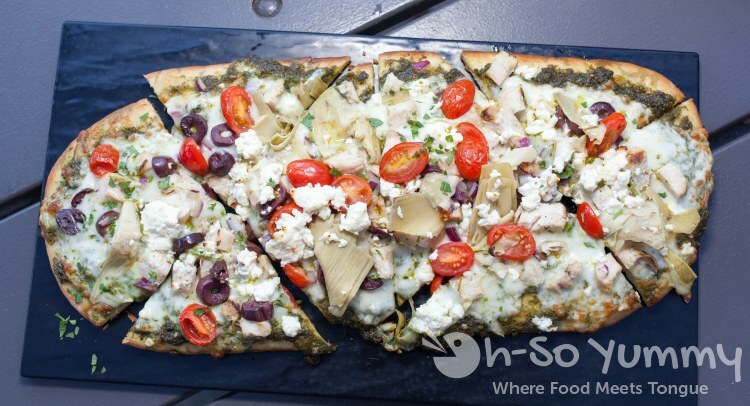 The Mediterranean flatbread was a meal by itself but also perfect for sharing! It was topping heavy with plenty of great flavors, enhanced by the thick pesto base. The thicker crust had some substance and bite to it while holding up the rest of the ingredients. 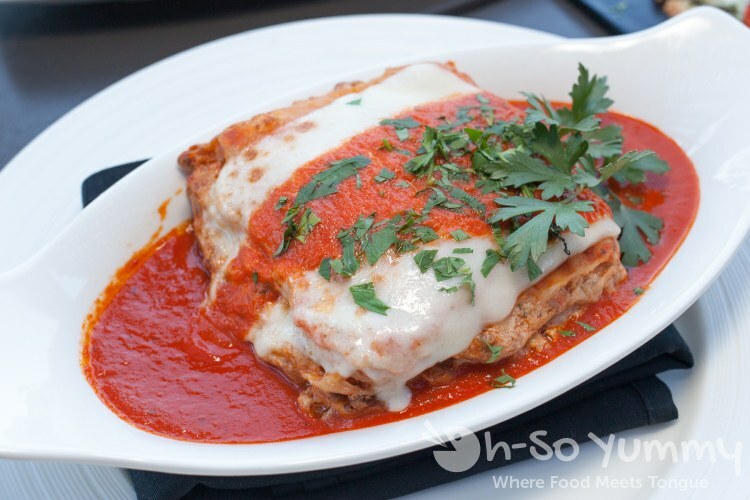 The chef’s homemade lasagna was not in our original order but turned out to be such a delightful addition to our dinner. This did not taste like the typical cheesier version I'm used to and felt as if the layers were dense but savory! I felt like it reminded me of a short rib lasagna of the past. All the entrees felt well balanced. We were tempted to get some wine which would have been a perfect pairing, but we were already warming up our bellies with the “bartender’s choice” whiskey flight, handpicked by bartender Nick. After further probing, we discovered there were THREE Nicks working here, but none from the restaurant name (we had to ask though)! 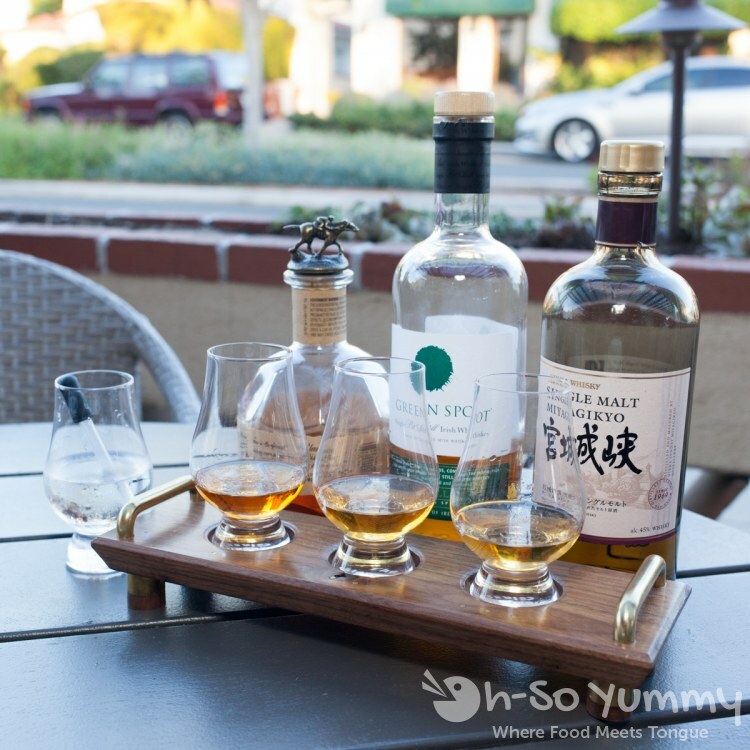 This whiskey flight had very distinct flavors because of the different distilleries and Nick gave us a little bit of history as well as why he chose each one. These came with a separate water glass with eyedropper for diluting, which we were told could bring out more flavor by lowering the alcoholic bite. The first drink was a corn mash kind of drink which was the strongest of the three. Its presence lingered in your throat as if you had become the oak casket! The second one had a fruity scent like bananas and was part of a rarer “green” batch. This was incredibly smooth which is what Dennis prefers. The third was even smoother with very little alcohol burn but a slight smokiness at the end (less intense than mezcals). The third was actually an upgraded sub from the same distillery (original was out and on re-order). Soon after, an encyclopedia of whiskeys was dropped off at our table which we browsed through with gusto! 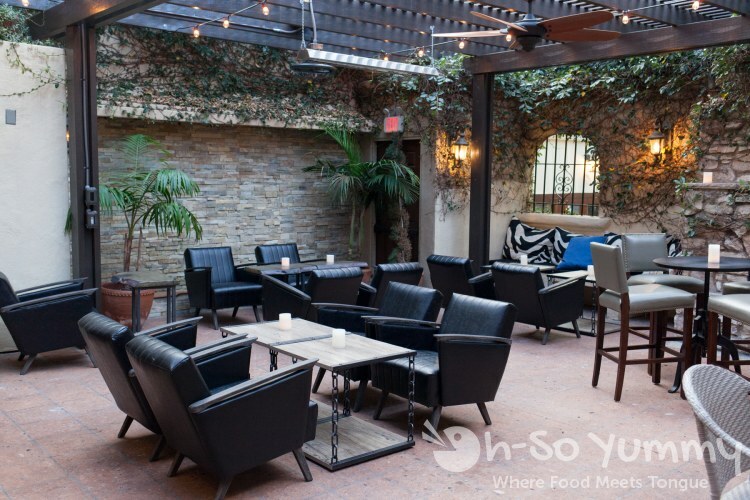 The restaurant seating is spacious with a lovely fireplace and comfortable indoor tables. The back patio was cozy and more private. Guests could also sit in the large front patio for a peaceful view of the neighborhood. Server Johnny took great care of us that evening and we were delighted that Nick stopped by personally to elaborate on his whiskey picks. I remember hearing some calming music that turned out to be a live and talented singer in the opposite corner of the patio. The food came out incredibly fast and more guests poured in as the shadows lengthened into the evening. 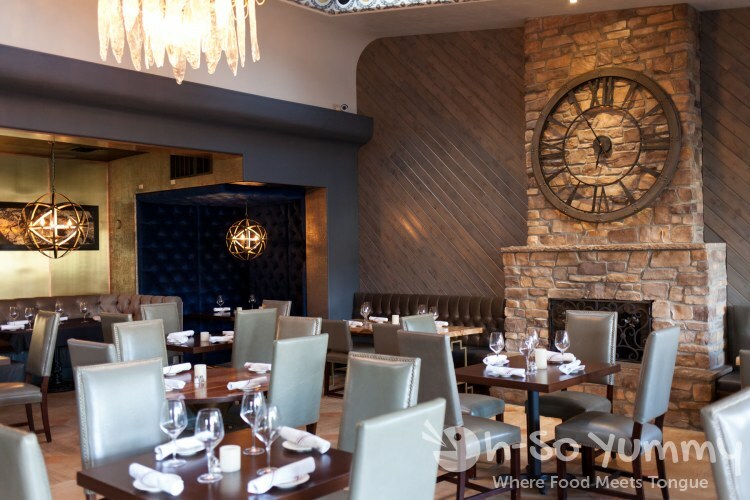 Hidden away in an mostly residential setting, this place is a charming addition to the Rancho Santa Fe community and we can’t wait to visit again for more delicious eats! What a bogus review. Nothing to add about the history of the place, Delicious, Ponsanty's, the dispute between ownership, the prices; and you took the meal for free; total hypocrisy. Wake me up when you go unannounced, pay your own way and have something truthful to say. we give every place a fair chance and believe that a restaurant should put their best foot forward regardless of blogger or regular guest. that's how you keep your business thriving, media spotlight or not. did this CHEF do something wrong? we'd come back on our own dime to have a few of these items again and would expect it to be just as good. otherwise, we would move on to the next spot, as there are plenty of options in san diego. we've never eaten in this area before. hope you enjoyed the food at your event! That is a good looking piece of salmon! it's a treat to have ravioli (as long as it is tasty)! I like the look of the scallops and also the outdoor patio area. That certainly does look like a lot of food for one meal- do they let you take home a 'doggy bag'? Thanks for the review! we definitely had some leftovers from the flatbread and lasagna. that lasagna tasted SO GOOD the next day (perhaps even better than while at the restaurant). i want the recipe! The interior design of the place looks straight out of a model home. The lasagna looks delicious!! we were surprised by how much we liked the lasagna! it was so different than what i was expecting!